Dr. Sheila Woody is a registered psychologist and a professor in the Department of Psychology at the University of British Columbia. Dr. Woody is also Associate Head of Graduate Affairs in the Department of Psychology. Dr. Woody is the director of the Centre for Collaborative Research on Hoarding. 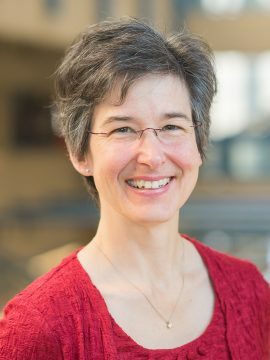 Her research focuses on hoarding disorder with the goal of better understanding hoarding behaviour and its associated problems in order to improve the outcomes of intervention. The Centre for Collaborative Research on Hoarding studies both individual psychopathology of hoarding disorder and community-based approaches to addressing problems associated with hoarding. Visit the Centre for Collaborative Research on Hoarding for a complete list of publications. Dr. Woody is currently accepting graduate students.